This is national Meat Week. 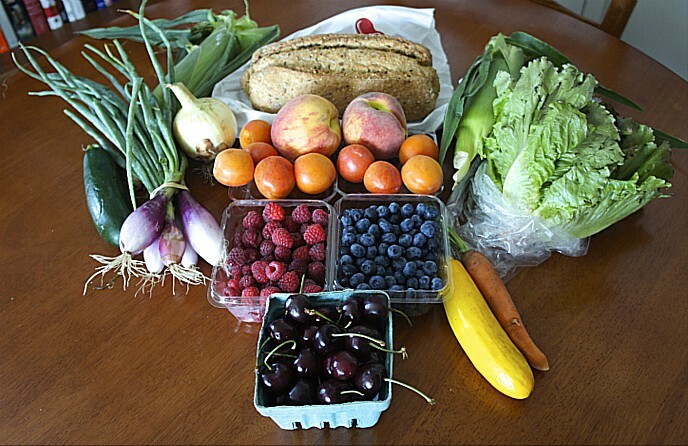 We at FamilyFarmed advocate for foods, including meat, that are produced as locally as possible using sustainable, humane and fair practices. 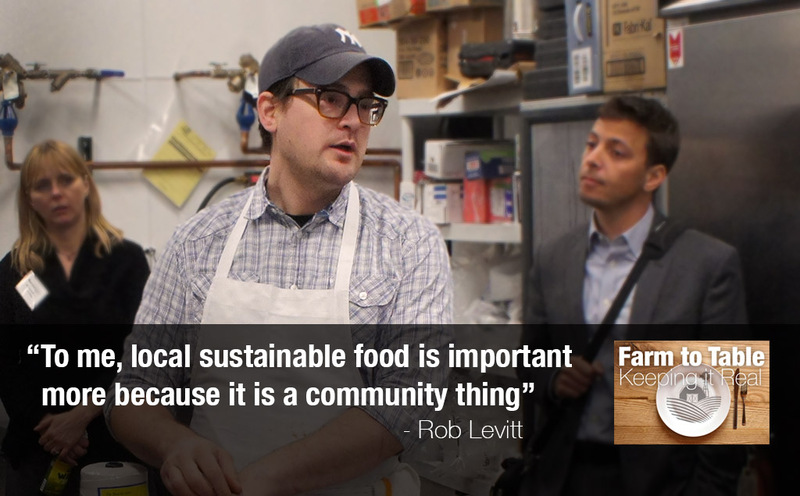 So who better to help us inform readers about why this is important than Chicago’s Rob Levitt, whose store The Butcher & Larder embeds those principles in how they source and sell their beef, pork, lamb and poultry. 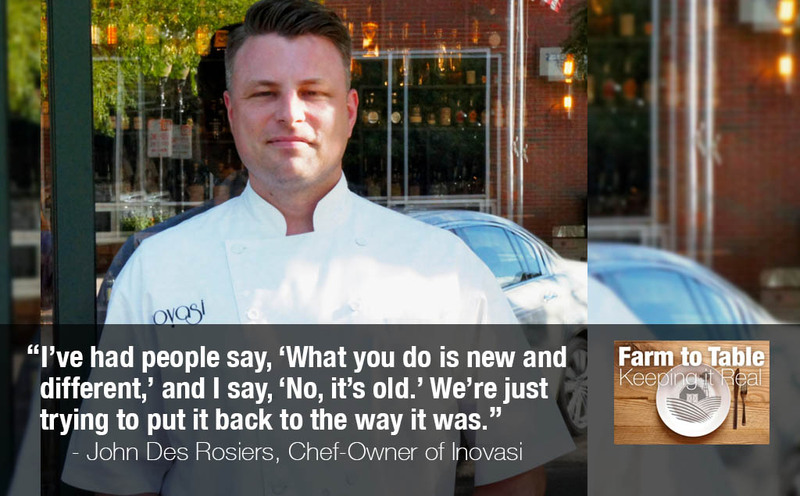 John Des Rosiers was still in his early 30s when he opened Inovasi, a highly regarded restaurant in the Chicago North Shore suburb of Lake Bluff. Yet he already had many years in the kitchen behind him. In fact, it would not be a wild exaggeration to say he was born to be a chef. Read about his career and dedication to sourcing from local farmers in the latest installment of the “Farm to Table: Keeping It Real” series. 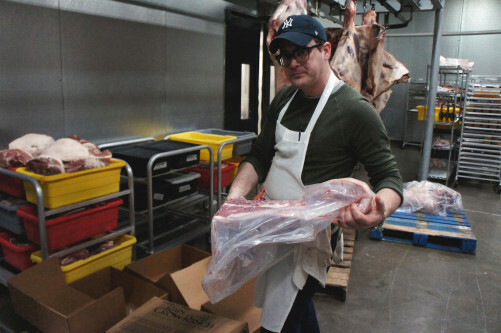 Rob Levitt has been one of Chicago’s leading butchers for several years, and his store, The Butcher & Larder, has gained an even higher profile since moving from its tiny original shop to the Local Foods retail store that opened last June. 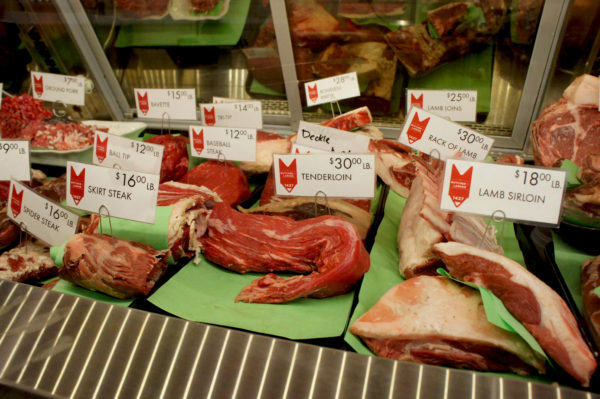 Customer service and information is part of the store’s stock in trade — so it was not surprising when the news broke Thursday that fans voted The Butcher & Larder as Best Butcher Shop in Chicago in an online poll. 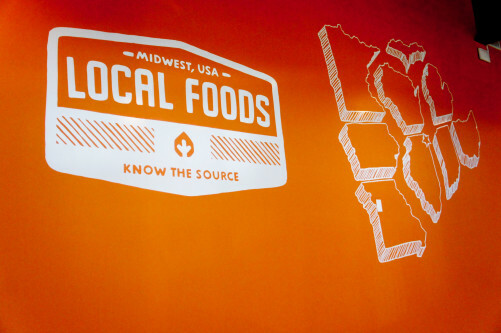 Even Jerky Is Elevated By The Good Food Movement. Yes, Jerky. Until recently, dried meat jerky was none something most people associated with Good Food. 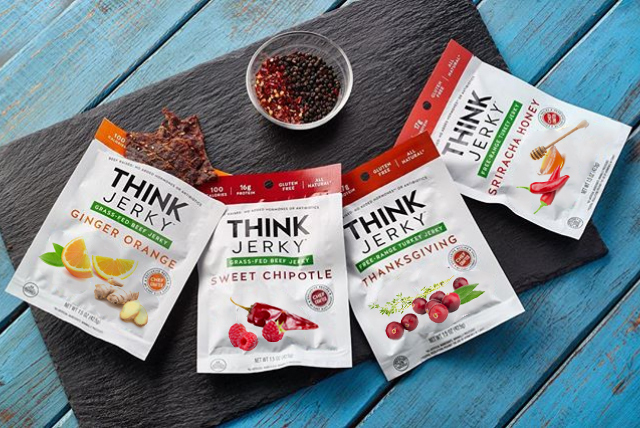 But one sign of the growing influence of the movement is that many products not normally seen as part of a well-balanced diet are being adapted into healthier and more sustainably produced versions — such as Think Jerky, the subject of this article. 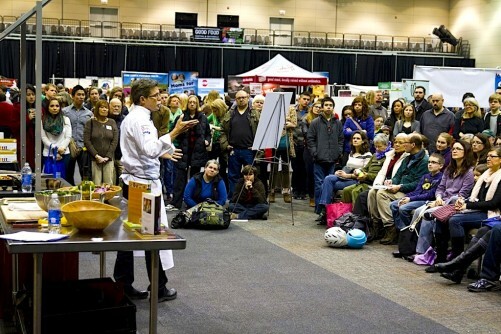 Rob Levitt of The Butcher & Larder at Local Foods, one of Chicago’s leading butcher shops, is conducting a ham-curing workshop at FamilyFarmed’s Good Food Festival on March 26. Read here about Levitt’s love of ham, his dedication to providing the highest quality products, and his devotion to consumer education about meat. When Harry Carr and his family started Mint Creek Farm in the 1990s, few American consumers had even heard of grass-fed beef, no less bought it for their dinner tables. 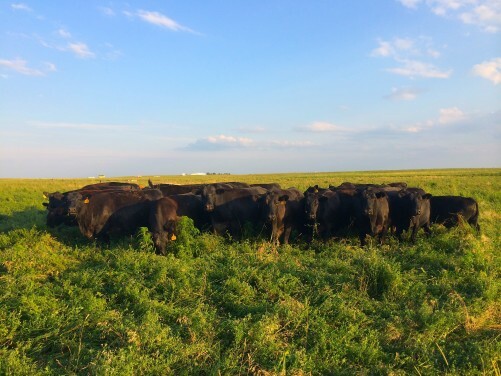 That has changed dramatically, yet here is still plenty of consumer confusion about the advantages of grass-fed, and plenty of pushback from conventional producers who argue there are no real benefits to choosing grass-fed beef over grain-fed.